Bronx, NY | Bowery Resident’s Committee (BRC) celebrated the opening of The Apartments at Landing Road with a ribbon-cutting ceremony in May 2018. 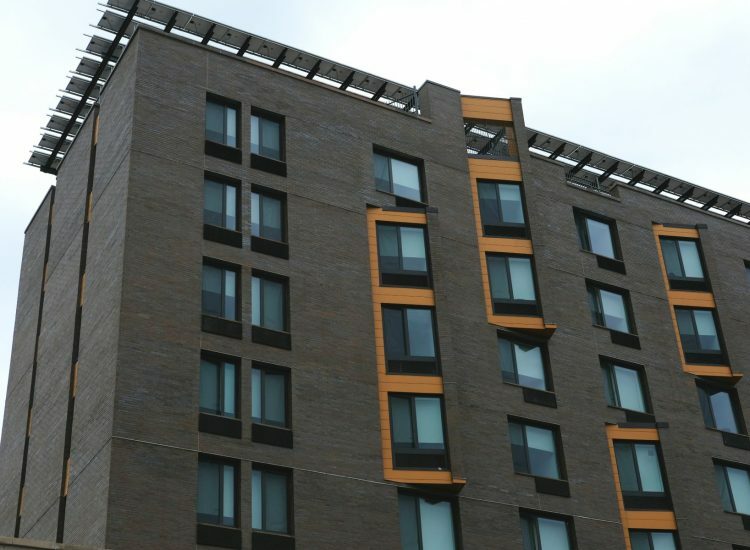 Located in the Bronx, New York, The Apartments at Landing Road mark the start of the HomeStretch Housing pilot program, designed to end homelessness through a combination of low-income supportive housing and transitional housing. 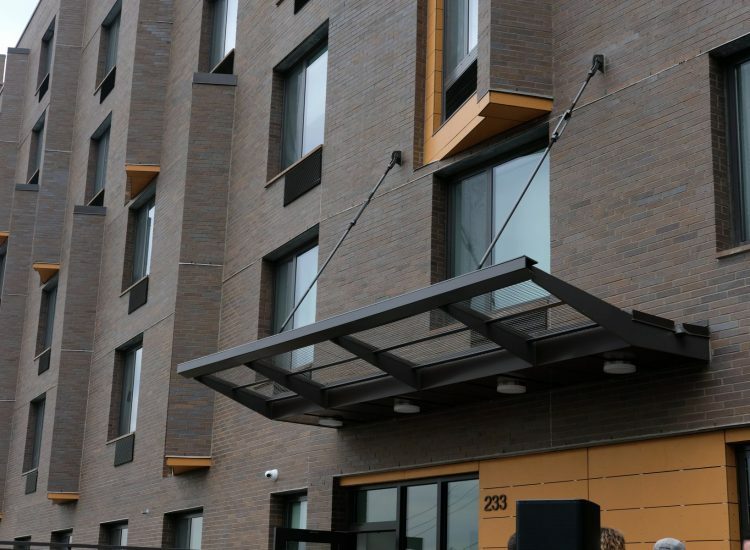 This mixed-use facility consists of a 200-bed homeless shelter and 135 permanent low-income affordable housing units. Minimizing future operating costs was crucial to ensure long-term affordability. 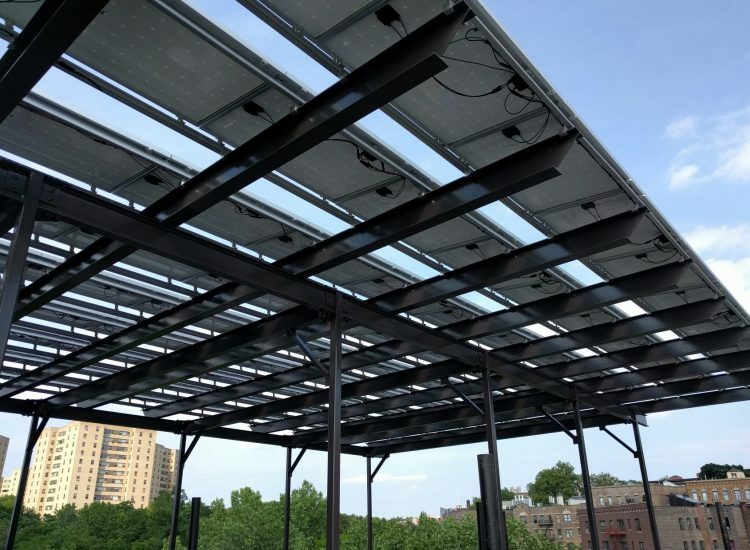 In order to achieve that goal, Bright Power worked with BRC and the design team to integrate energy efficiency and solar energy into the building’s plans from the start. Notable features include a high efficiency condensing boiler plant that will provide hot water and heat to the building at a combustion efficiency of over 90% and a 114 kW solar photovoltaic (PV) system that will provide clean renewable energy to the building. 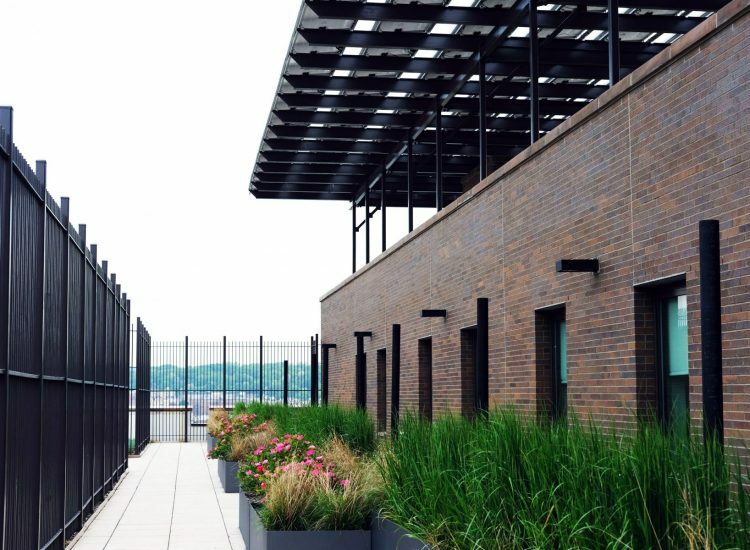 These green building features, among many others, contributed to the Enterprise Green Communities Certification (EGC) and ENERGY STAR Certification that the building received.